The whole procedure of update EPF Email ID will be done on UAN Member Portal. So, In order to update the Email ID on UAN Portal, read our given steps in this article and do the same. The Employee can also update Mobile Number, Name, Aadhaar Details, PAN Details, KYC and some other details on this Portal. ★ All the important information, upcoming updates, latest releases and latest news will be sent to you via email from EPFO. 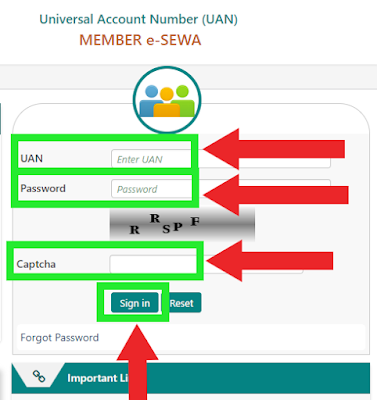 The first step is to open the browser and go to the official source – UAN Member e-Sewa. 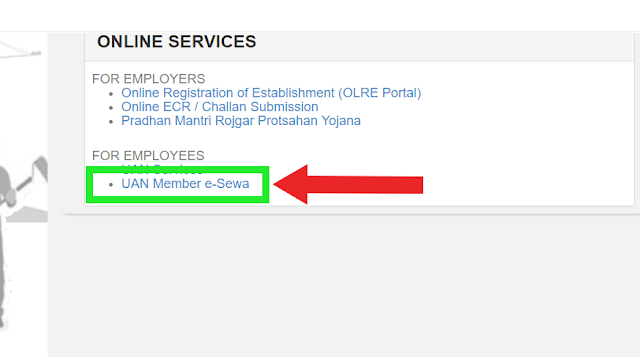 After you click on the UAN Member e-Sewa link, it will pop up next window showing you the official EPF UAN Member Portal. Now fill in your UAN and your Password in order to log in yourself. After you successfully logged into the UAN member portal, under the menu section you’ll see a button named “Manage”, Click on that link. A drop-down menu will now appear containing two different sections from which you have to select the first one, named “CONTACT DETAILS”. Now, when you are on the main page where you will have all the options to edit or update your Email ID you need to Click on the CheckBox right before the text “Change E-Mail id”. After you click the checkbox you will have to 2 new fields where you have to put in your New / Updated EMAIL-ID. On the first field, enter your new email id and on the second field, Re-enter your email id for confirmation. When you filled both sections correctly, Hit “Get Authorization Pin”. When you hit the Get Authorization Pin button, you will be re-directed to a new page and at the time you were re-directing, An OTP will be sent on to your Registered Mobile Number via Text SMS. The message itself contains your OTP ID and OTP PIN. Enter the OTP PIN in the required field and hit “Save Changes” button. Now, when you successfully complete all the procedure, your new email id will be used by EPFO to send all the latest updates, schemes, account details, transactions & much more.